At Elite Dental Care, our office is designed to feel like home. Welcome to Elite Dental Care, where expert dentists provide comprehensive treatment using the most comfortable dentistry techniques. Our dentists, Drs. Mark Harper, Clint Buchanan, Mike Farrar, Kate Avery, and Hunt Magee provide a full range of cosmetic, restorative, and general dentistry services. Our three locations in Trenton, Germantown, and Jackson, TN, have been recently remodeled and equipped with cutting-edge technology. 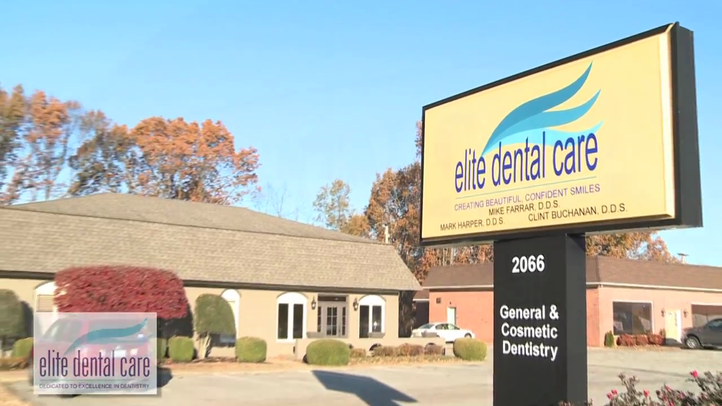 Elite Dental is one of the few providers of sedation dentistry services in Western Tennessee. This accommodation can benefit patients who feel anxious in the dentist's chair or have difficulty sitting comfortably. Located off of Forest Hill Irene Road and Poplar Pike, our Germantown office is our latest addition. We opened our Jackson office in 2001 to make our services even more accessible to area families. Our Trenton office has provided the community with comprehensive dentistry since 1979. Our mission is to provide caring and compassionate dental treatment for our family of patients like we would want to receive. Our dentists believe in changing the lives of their patients through exceptional restorative and cosmetic dental treatment. Cone beam scanners allow us to provide more accurate diagnoses. Each of our offices uses advanced equipment to provide the highest level of dental care. Our 3D cone beam scanners can provide incredibly detailed views of your teeth, jaws, and surrounding tissues. This allows our doctors to detect oral health issues in the very earliest stages and design precise, personalized treatment plans. We only use digital x-rays, which are far safer than traditional x-rays and provide clearer images in a matter of seconds. Digital imaging technology also allows us to provide previews of how cosmetic treatments can enhance your smile. The doctors and staff are so kind and make you feel like part of their family, I highly recommend Elite Dental. For maximum comfort, we offer oral conscious sedation and nitrous oxide as needed. For an expedited cosmetic upgrade, we offer Six Month Smiles treatment. Our highly trained doctors can place and restore dental implants. We offer traditional metal braces and Invisalign® to straighten your smile. With a custom set of porcelain veneers, this patient addressed discoloration, gaps, chips, cracks, and minor misalignment to achieve an unforgettable smile. Sedation is available for maximum comfort. We understand that some patients feel anxious in the dentist's chair. Conditions such as arthritis can also make it very difficult to sit comfortably, especially through longer treatments. To provide the most comfortable and pleasant dental experience possible, we offer sedation dentistry. In fact, we are one of the few dental practices in Western Tennessee to offer this specialized service. All of our doctors have completed post-graduate education with the Dental Organization of Conscious Sedation (DOCS). Having performed more than 5,000 procedures using oral conscious sedation, you can feel confident knowing that we are equipped to provide this service safely and effectively. We partner with CareCredit to help you manage out-of-pocket treatment expenses. Contact our office online to schedule an appointment with a member of our team. Leave a review below, or check us out on Facebook and Google+.